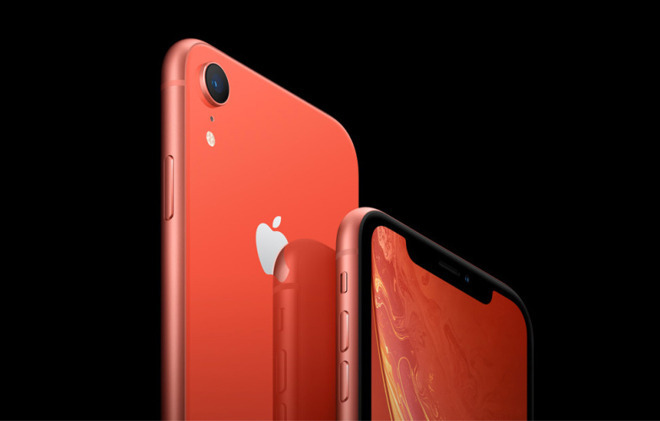 Weaker than expected iPhone sales during the holiday quarter may mean it's time for Apple to design an iPhone exclusively for the Chinese market, according to a discussion with analysts and former Apple executives. "They're not adapting quick enough. These apps and systems are how people communicate in China, and if you don't have seamless integration, the Chinese manufacturers have an edge," said Carl Smit, formerly an Apple retail executive in Asia. One example given by the Journal is Tencent's WeChat, an app that's ubiquitous in China because it offers messaging, shopping, and even ridehailing. Its influence helped popularize a mobile payment platform based on QR codes, but iPhones couldn't scan those codes until the release of iOS 11 towards the end of 2017. Apple also made needed improvements to its pinyin keyboard. The incentive for localized hardware, not just software, may be similarly rooted in trends. Apple's China team has reportedly pushed Cupertino executives to adapt to Chinese interests for years, for instance suggesting dual-SIM iPhones as far back as 2012. The first dual-SIM iPhones were 2018's iPhone XS, XS Max, and XR. "We'd say, 'Here's what my consumer wants,'" according to Veronica Wu, previously of Apple's Chinese sales team. Cupertino executives were allegedly "a black box" however, with resulting iPhones missing features popular in Wu's domain. One former engineer claimed that Cupertino prioritized things like antenna performance, only to be surprised that dual-SIM support was becoming so critical. However, while the Wall Street Journal points out that there are problems with the approach, none of the people that previously orbited in Apple's gravitational field pointed out that creating a China-only iPhone would aggravate another problem -- cost. Apple would lose economy of scale that it has in the relatively few models that it produces now, forcing the cost up on any device generated solely to hit the sweet-spots of that market. Apple's December-quarter Chinese revenues fell a massive 26.7 percent year-over-year, primarily because of weak iPhone sales. The iPhone has taken a beating in the Chinese smartphone market -- local vendors like Huawei and Xiaomi are selling competitive phones that cost hundreds of dollars less than Apple's offerings. Compounding matters has been a strong U.S. dollar, a weak Chinese economy, and the effects of the U.S.-China trade war. The company is taking some steps to improve the Chinese situation, for instance improving its corporate and development presence, and focusing harder on trade-in and payment plans. On Tuesday CEO Tim Cook said the company is lowering iPhone prices in markets like China, taking a hit on profits in the face of exchange rates. That was a very different situation. This is not analysts only but actual numbers and facts on the ground. Wechat being the app most spend most of their phone time on makes Apple's iOS ecosystem much less of a lure. Given that spending hundreds less for a phone with a great screen etc that you use the same app the same way for is very hard to overcome. All the friends I talk to in Hong Kong kept asking for dual sim years ago, now that they have dual sim, they ask how can you use two instance of whatsapp. These are problem that those chinese android phone solved ages ago. Using iPhone is a step back for them for the Americans who don't understand the situation. I would say this last quarter's results speak for themselves. This is the historical iPhone blowout quarter. Even with dual SIM in China Apple was hit. Competitors aren't just matching Apple, they are pulling ahead and if those competitors are playing 'at home' and offering exactly what those customers want, your only option is to cater to users' needs too. Not expect customers to adapt to what you decide they need because if you do that you begin with a disadvantage. When Honor presented the Magic 2 it came with a raft of features designed specifically for the Chinese market, including a Chinese only voice assistant that took the first stabs at simultaneous two way real time voice call translation. If you were a Chinese person in the market for a new phone it would have caught your attention. Then there is also the subject of price that is being dealt with now. It’s completely about politics and trade negotiations. A blip in the long run. Apple should learn a valuable lesson about being too dependent on China as both a supplier and a means for rapid quarterly growth. Why isn't Didi a default app in China? Apple does need to improve tech but WeChat is garbage if they're using QR codes. Apple has better solutions but they don't cater to China. It's sad that WeChats entire business model is to steal ideas from other companies and call them their own. Really? So what is Apple's strategy to counter Chinese local brands selling for hundreds less and just people using WeChat so much they don't care what OS is running the phone? Privacy isn't a selling point on China either. If WeChat is the Facebook of China, Apple can agressively target the area and find new switchers. "If it has Facebook I don't care" is the typical American attitude, yet we Americans get all the Apple fruits an more iPhone owners. Something Apple needs to be more aggressive about. For example, WeChat does not have Apple Music/iTunes/Safari etc. If Apple can release a free video service that targets the Chinese audience, we can see people switching to iPhone to get the hottest shows like how Netflix had people addicted to Orange is the New Black etc. Not so, very well culturally and technically informed people in and out of Japan stated this, the docomo hurdle was unsurmountable. Emoticons and nfc chips for payment (Apple lacked at the time) were at the hart of the argument at the time.